"You create fashion, if the community likes it, we produce it." Hi, the term "open source" has become a synonym for user participation, transparency and democratization, originally related to computer software, also challenging the traditional pay-per-copy/user license model. The fashion business, on the other hand, relies on a solid pay-per-item model, but when it comes to design, you are somewhat limited to what the big fashion chains are offering (which is almost the same anyway), unless you can afford an individual fashion designer/tailor. 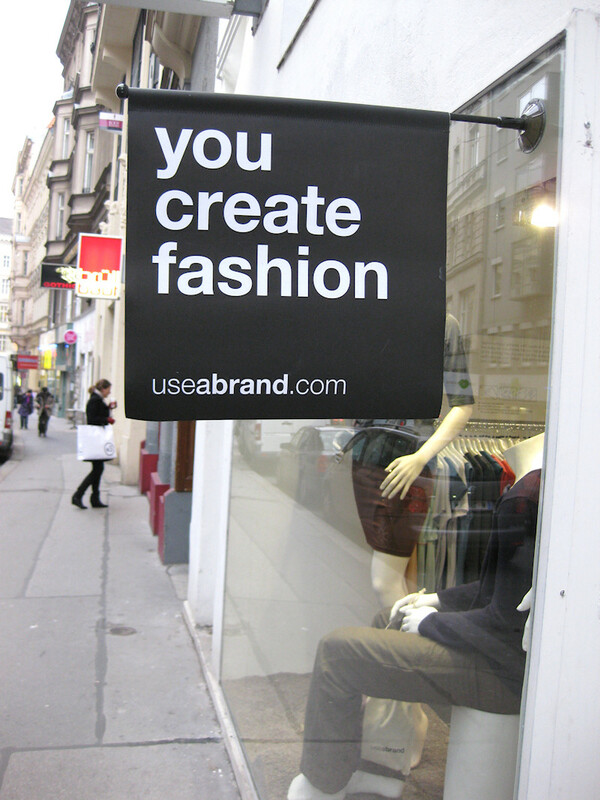 useabrand is an Internet fashion pioneer based in Vienna, bringing the idea of the Internet and the open source initiative to fashion, by crowdsourcing the design of clothing. Everybody can submit their original design sketches, which are then voted by the community. The best two (male and female) are then produced by useabrand on a monthly basis. Sounds familiar? Yes, maybe you have heard of Garmz, another start-up from Vienna, I reviewed some time ago. 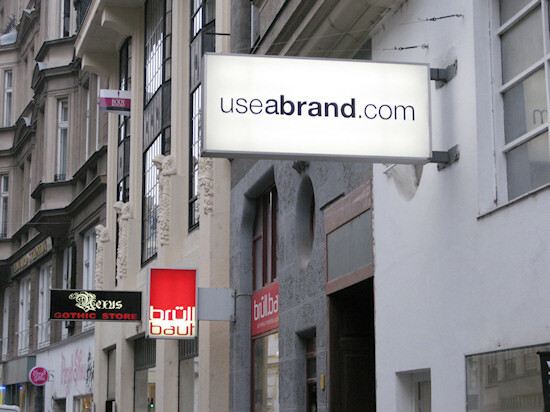 Interested in the matter, I visited the useabrand store in Zollergasse 15 and did an interview with Anna Rihl, chief designer and creative director of useabrand. Anna Rihl studied fashion at the Linz University of Arts and Industrial Design, and already designed for Wendy & Jim, Servane Gaxotte, Irina Volkonskii, and Christian Lacroix, before joining Moritz Baier at useabrand. 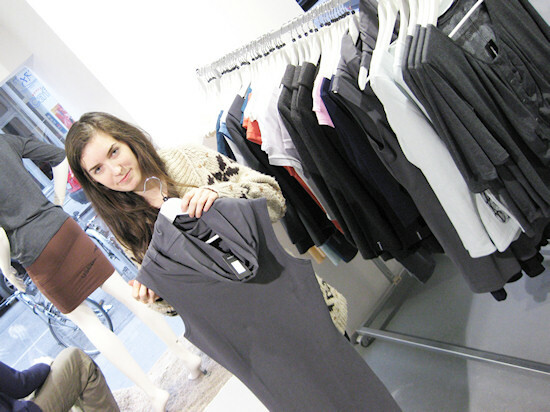 Anna also designs and plans useabrand’s own biseasonal collection and is responsible for all of useabrand’s fashion design process. Being the first start-up allowing customers and users to actively take part in the whole design process of a fashion label by the means of the Web, how did you come up with the idea of crowdsourcing fashion and how do you differentiate yourself from the emerging competition? Since we started in 2007 we focus on our thing and put a lot of energy and efforts to have happy designers and satisfied customers. When we came up with the idea, the aim was to democratize fashion through the Internet like it happened before for instance with "knowledge" through websites like Wikipedia. After having the idea we were actually quite excited because nobody had done this before, only for t-shirts but not for whole pieces of clothing. With useabrand the designers are not restricted, they can design whatever comes to their mind. If the community likes it, we produce it. Please describe briefly how the monthly winners are selected and how their designs get reproduced? Anybody, young or old, fashion designer or not, can upload his/her very own fashion visions in form of fashion drawings on our webpage. The community votes the best designs under all submissions. Once a month a design for men and one for women is chosen by the users. After a meeting or talk with the winning designers, the useabrand team puts them into reality. Specification sheets are made and a CAD company is doing the cuts. Afterwards the designs are produced in Hungary. Since useabrand is an imperative, do the produced clothes wear the label of the designer or the useabrand brand? The clothes have the useabrand label inside. The actual name of the designer is written on the hangtag and is communicated via our webshop and facebook. We found out that the customers want it like that, it obviously has to do with brand confidence. If we find out that the customers want it in a different way, we will change it. Is crowdsourcing really that democratic? I am thinking about low user participation, the social network deciding about the success rather than talent, and other problems. It's the most democratic way at the moment. Maybe not everybody votes, but those people who are interested in the subject. As you pointed out it's the same like in politics. Of course those are more likely to win, who can motivate more people to vote. Have you observed cases of cheating, for example fanboys or girls creating multiple accounts in order to boost their votes? In June 2009 when we started the first voting competition there were attempts of cheating, but we found ways to make everything very secure. User-generated design vary both in quality and detail and can pose quite a challenge in production. What was the most difficult piece you realized and why? It's always a challenge to transfer a sketch into a good product. And of course the designers have to like it. We absolutely love this challenge! So far, and we are doing this for 1 1/2 years already, everything worked out well and the designers were happy with the results. To name one, I think most difficult was our first winning design, a silk dress – the boarders had to be rolled and stitched with hands which was a lot of work for the production. But seeing the finished result – it was absolutely worth it! Is a most voted design automatically selling successfully? What makes a bestseller? Not automatically, but the chance of course is higher. People who vote for a design often buy it later when it's available in the shop. Very often designs win to a high amount because of an amazing fashion illustration and not necessarily only because of the design. From our experience, people buy things that are easy to wear, with a special eyecatcher or some interesting details, but if it's too fancy they won't buy it. Most of our bestsellers are black or grey. But if the design is really good, colour doesn't matter. Vienna as a fashion city: How many designs are actually submitted from Vienna (or Austria) and what other countries are participating most on your site? The designers come from all over the world. Detailed information we only have from the winning designers. Do you have some advice for young designers? Having won a contest is a very good thing for a designer's portfolio when applying to a university or for a job. Moreover the designers get feedback to their sketches and what is really important: they get a feeling what is desired at the fashion market – at the very end, fashion has to sell. What are your future plans for useabrand? We are just starting a sublabel which is called custombrand. It's a fashion production service, where we take the most difficult step for designers. We organize everything concerning fashion production for them and they can use our production infrastructure to produce their clothing. Moreover we have many ideas and possibilities how to "use a brand" in the row, we will publish them soon. Thanks, Anna for answering my questions. I am looking forward to seeing your innovative concept evolving. Congratulations to Kathmo, who won the February competition with this cool design, available in the shop. Hi Kathmo, thanks, hope to manage to get to the afternoon sessions ;) and you? I hadn't heard of this before. This is such a smart way for a shop to engage with it's customers and get them excited about their upcoming pieces!